I am a nutritional cook and busy mum of two, with a degree in Pharmacology and a previous career in TV production. I have always had a huge enthusiasm for cooking - ever since I was little, all I wanted to do was be in the kitchen with my mum, creating something delicious. After having children, I became increasingly aware of the power that food has in supporting good health and wellbeing and my passion for cooking began to evolve into a more proactive approach to my family’s diet and overall lifestyle. 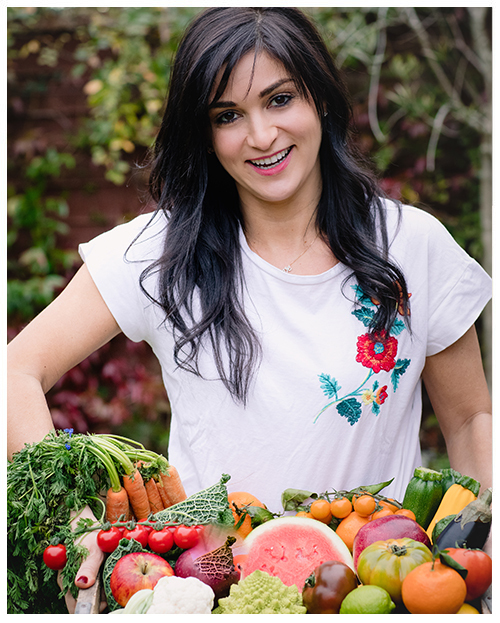 I studied Nutrition in Practice at Leiths Cookery School in London, receiving a Level 3 NTEC Qualification and, since then, have made it my mission to help others create healthy, delicious and nutrient-dense food. Healthy eating can be a confusing minefield of mixed messages and scary headlines, so I aim to debunk the myths and simplify things in the kitchen. My main ethos centres around positive nutrition - focusing on what you CAN eat, instead of what you can’t. I do not believe in unnecessarily demonising any particular food groups, like some highly publicised diets, unless medically recommended. I strongly believe in following a Mediterranean-inspired diet that is full of fresh produce, legumes, whole grains, healthy oils and small amounts of fish and meat; as well as, what I like to call, Colourful Nutrition - incorporating a varied rainbow of fruits and vegetables in our diets every day to increase our antioxidant levels and support our health and wellbeing as best we can. With kid’s food, sometimes I have to get somewhat creative in disguising all of the ‘goodness’ - I didn’t want my children to get bullied for being the ones bringing in Spirulina balls to their school bake sale! Having spent my summers growing up in Georgia, I’ve been heavily influenced by American foods and have used this as inspiration in ‘hiding’ good stuff in traditionally unhealthy classics - like ice cream, waffles, milkshakes, chicken nuggets and fish fingers, all made as healthy as possible, but still staying delicious!